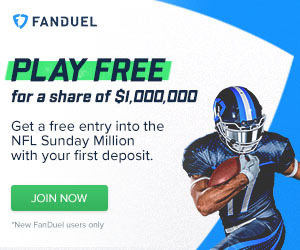 Everybody should be just about ready for Thursday’s kickoff of NFL and fantasy football. Even the best teams could use a tweak to get them in fighting shape, though. Check out some of the best wide receivers that are available in the majority of fantasy leagues as of Monday. Lockett has the skills to be a game breaker and I think this is his year. Despite being a popular breakout candidate in 2016, Lockett was a massive disappointment. He only had two games with more than 75 yards and scored 1 touchdown all season. He still has all of the skill that fantasy players salivated over, though. 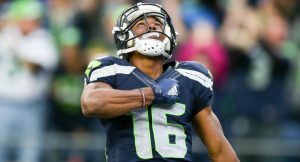 The difference now is that Lockett is set as the team’s number two receiver after the departure of Jermaine Kearse. Lockett is still working his way back from a major injury and may see somewhat limited snaps in the first week or two. Coach Carroll clearly has confidence in Lockett though as he said that he will take on the return duties early on. This type of skill level cannot usually be found on the waiver wire; grab Lockett. He is not the most talented receiver on the team, but Wright should see the most opportunities. There are few proven weapons on Chicago’s roster, but Wright is a sure-handed veteran. Kevin White has first round ability, but practice squad mental toughness. Mike Glennon is going to need a target that can get the job done and move the chains. More often than not, that is going to be Kendall Wright. He is ideal for ppr formats, but even in standard he should have the volume to produce. This guy is my best bet for a productive receiver on the Bears roster in 2017. I have been driving the Cooper Kupp hype train all offseason and I had trouble choosing between Kupp and Wright above. What it came down to is a veteran and an experience quarterback versus a rookie and Jared Goff. I think that Kupp has the tools to have a monster ppr season. In that format he is going to be an every week starter and could outscore Sammy Watkins. In standard it is a bit tougher and Kupp might be a better real life player than fantasy producer. I think that touchdowns will not come easily, but yardage and catches will pile up. 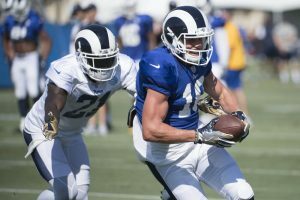 Kupp is 24, so he has more experience than some of the rookie receivers. He should have a higher floor, but a slightly lower ceiling as well. The bottom line is that Kupp should be on fantasy rosters, especially when there are points given for receptions. In reality the Jets are a terrible football team and Robby Anderson is not a very good receiver. For fantasy purposes…those things are still true as well. But, Anderson is still going to put up a decent number of fantasy points. Jets’ quarterbacks, whoever they end up being, will need someone to throw to. While I like the potential of Ardarius Stewart and Austin Seferian-Jenkins, Robby Anderson is the best bet. Stewart is a rookie and Seferian-Jenkins cannot stay on the field. Anderson has shown the ability to produce at least some of the time. This is an end of the bench, cut him if he doesn’t produce type pickup. Still, he has the chance to put up surprisingly big numbers in garbage time. By garbage time, I mean the Jets’ entire season of course. Those are the wide receivers to fill out your roster with before the start of week 1. All season long, waiver wire picks will come out on Tuesday. Be sure to check back often and keep your roster in championship form. Be sure to follow us on Twitter for extra information: @_knuckleheads and @brendancole16.